Jean Diony Joseph, 33, started volunteering at his local Red Cross branch in Jérémie by joining its youth group in 2007. Nine years later, he hasn’t left. Joseph is studying agriculture at the local university in Jérémie. When he’s done, he wants to assist people who grow crops and work the fields in the area. “Hurricane Matthew destroyed almost all the crops in this area. I want to contribute to reforestation projects, and grow small-scale crops to sell, like peppers and carrots,” says Joseph. He also has plans to pursue a Master’s degree abroad, so that he can learn new techniques and take this knowledge back to his community. Joseph lives in the centre of town with four friends. During the hurricane, the roof of his house blew off. He has covered it with a tarpaulin to stay dry from the rain. But what Joseph worries about the most is his family who live in the countryside. “It was very difficult for my family during the hurricane, their house was completely destroyed,” says Joseph. 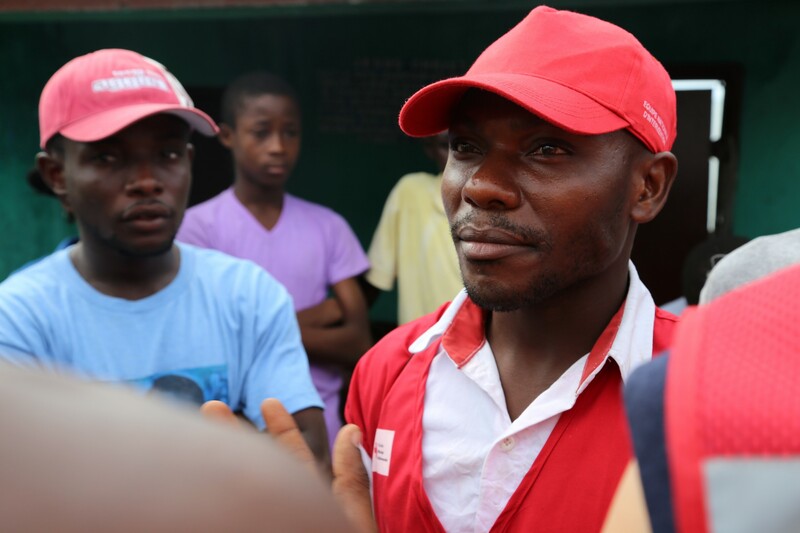 In 2012, Joseph received training by the Red Cross in shelter reconstruction. Since then he’s been teaching communities how to properly put up tarpaulins, and repair their homes using tools provided by the Red Cross. He credits this training and the subsequent work he did with communities in giving him the skills to help his family after the hurricane. “I was able to take some wood and a tarp and build my family a small temporary house that they can use until we’re able to build our house back,” says Joseph.